POLYTONICA Ltd. - Who we are? Basing on this method, we have developed some other complete technologies, which are very interesting and useful for many clients worldwide. These technologies are related with processing of any kind of liquids, passing through all stages, from the creation of the bottle to palletizing the final product in the storehouse. 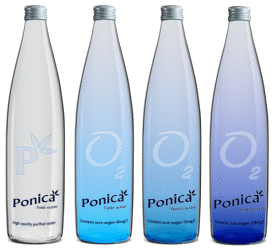 By using of our method, in our factory we produce a very high quality drinking water under our own brand PONICA®. Described documents are issued by Patent Office of Republic of Bulgaria.